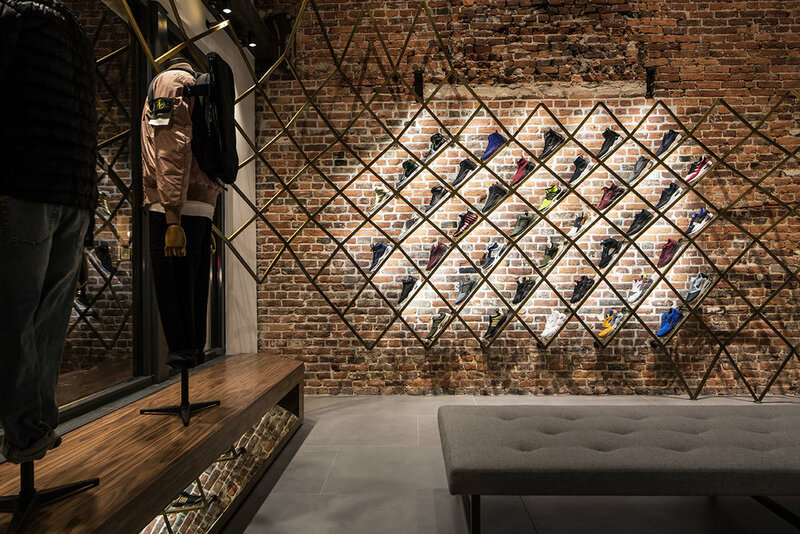 We designed this high profile project for exclusive sneaker and apparel brand UBIQ after completing a successful renovation of their first flagship in Philadelphia. 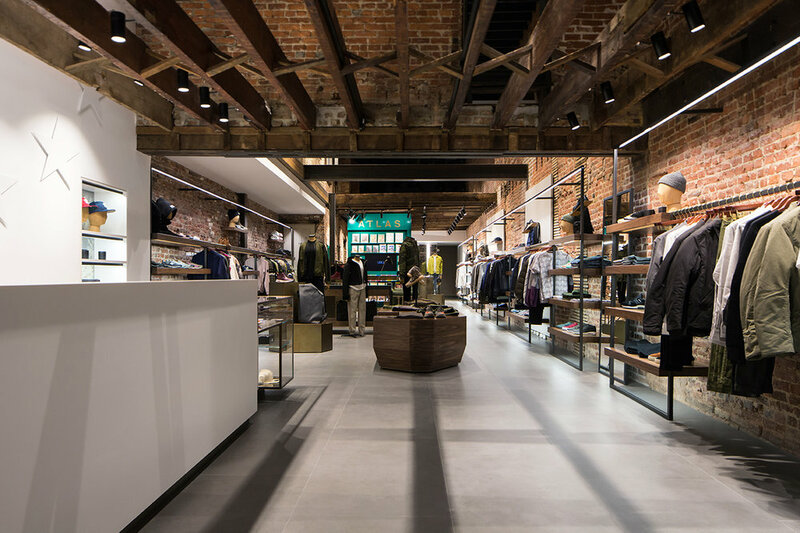 The store is the brand's second in the country. We worked closely throughout the design and construction with local architect of record Streetsense. 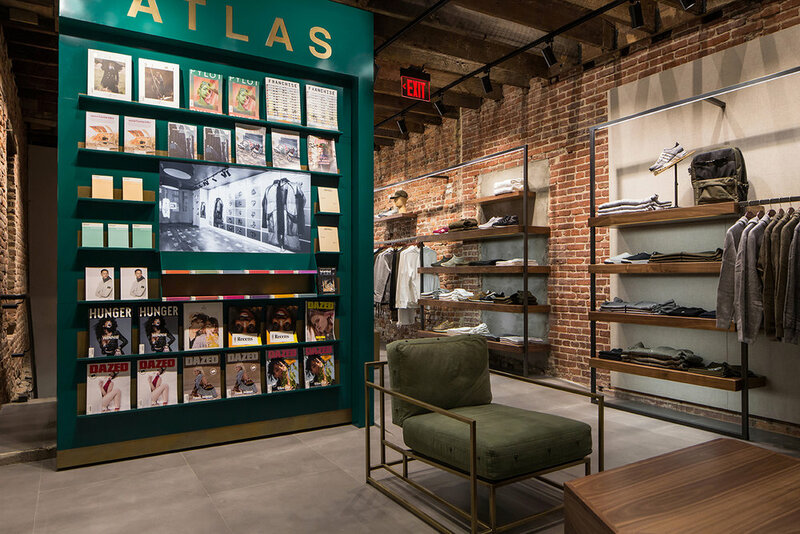 A complete gut renovation, our design features a new exterior entry facade and a new retail fixture program, including a complex bronze "net" to highlight the latest offerings and a reinterpreted powder-coated steel newsstand.